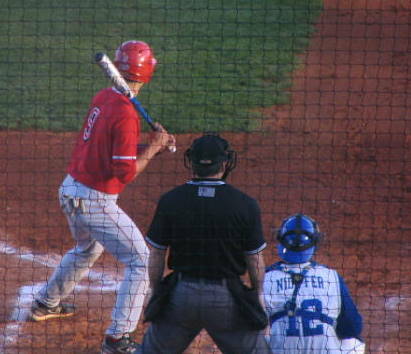 Western Kentucky University scored 10 runs through the first three innings of its game versus the University of Louisville and held on for a 15-5 win to even the season series at one win each. Every WKU starter had at least one hit in the game, and seven players has two hits. Senior catcher Matt Rice was 2-4 with one home run, three RBI and two runs scored, and senior designated hitter Chris Bullard was 2-5 with one home run, three RBI and two runs scored. Sophomore right-handed pitcher Taylor Haydel earned the win after surrendering two runs in two innings pitched.